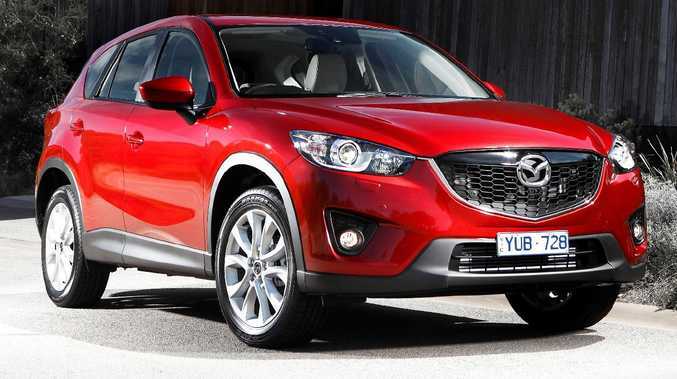 AUSTRALIANS buy more Mazda CX-5s than any other SUV. The brand nails the magic formula blending style, space, prestige, practicality, driver reward and value for the modern buyer. For years, the mid-size five-seater has topped its segment sales chart, so there are hundreds up for grabs on the used market. Given this popularity, they hold their value well so don't expect to find many bargains among pre-loved first-generation CX-5s. They combine SUV ride height with almost car-like handling, solid Mazda reliability, semi-premium finish in a well-screwed together cabin, useful family space and ample choice of variants. 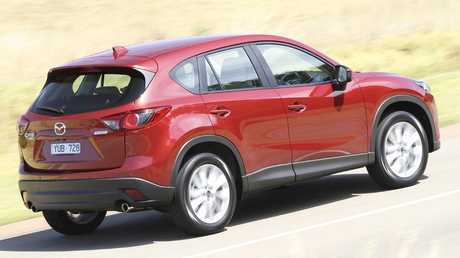 Coming after the thirsty CX-7, the CX-5 brought the maker's fuel-efficient Skyactiv tech. 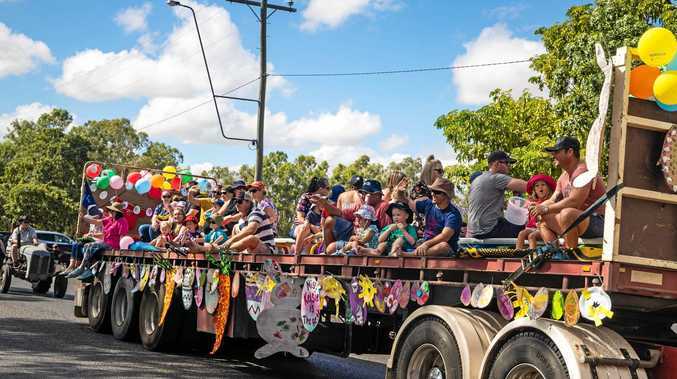 Petrol engines are for the town driver and there's a diesel better suited to those travelling long distances or making use of the 1800kg towing capacity. You can pick front or all-wheel drive and the majority are autos. There are well-reported problems with early diesel versions used only for short journeys. Road noise is far from class-leading, the boot's not the biggest and Mazda's pre-2018 three-year warranty and short 10,000km service intervals lagged key rivals. At launch in February 2012, the grades were entry-level Maxx, mid-range Maxx Sport and flagship Grand Touring. The Maxx used an underwhelming 113kW petrol engine and could be optioned with manual or auto and in front- or all-wheel drive. Included was a 5.8-inch screen, Bluetooth with audio streaming, cruise control, USB, power mirrors, keyless start, hill start assist and reverse camera. You were lumbered with 17-inch steel wheels. The Maxx Sport could be had with 2.2-litre turbo diesel with twice the torque of the petrol alternative, giving more agile performance. The diesel was AWD only and all Maxx Sports were autos. Additional equipment included 17-inch alloys, auto lights and wipers, dual-zone climate control, leather steering wheel and shift knob, fog lamps, satnav and 40-20-40 split-fold rear seats. 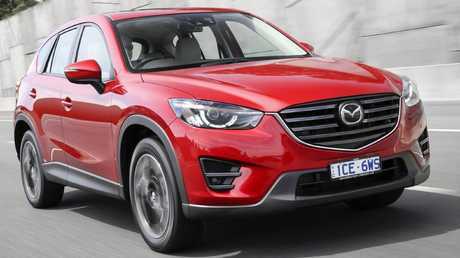 New SkyActiv engines made the CX-5 fuel efficient. With AWD and auto only, the Grand Touring added adaptive Xenon lights, daytime running lights, power sunroof, leather heated seats (power for driver), keyless entry, parking sensors, Bose audio and 19-inch alloys, which harmed ride comfort somewhat. A more muscular (and thirstier) 138kW 2.5-litre petrol engine arrived in February 2013 and became standard fitment on AWD versions. A new Akera grade landed too, with the same kit as the Grand Touring, adding blind spot monitor, lane departure warning and high-beam assist. More fettling came in November 2013 with suspension tweaks to improve ride comfort. The Akeras gained autonomous emergency braking, which became optional on all but the Maxx, alongside blind spot monitor. In February 2015 came a midlife facelift, sharpening the front end with grille mesh and adding reverse camera, electric park brake. Mazda's decent MZD Connect car connectivity with seven-inch screen became standard on all grades and the maker worked to reduce cabin noise following owner criticisms. At the top of the range, the Akera topped $50K but got serious with active safety by adding forward obstruction warning, lane keep assist, rear cross traffic alert, side monitor and radar cruise control. The new generation CX-5 arrived in March 2017. 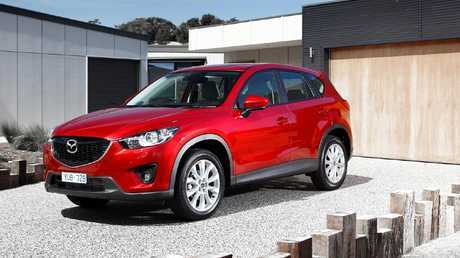 The CX-5’s styling proved popular with Australian buyers. Beware the diesels. The particulate filter can clog with soot if used mainly for short journeys. In MY2012 CX-5s, before Mazda added a software fix, diesel fuel could leak into the oil sump, raising the oil level and potentially damaging the engine. Damaged engines were replaced under warranty but there have been some owner reports of contaminated oil, blown diesel engines and turbo failures since then. Check for white smoke, sluggish performance and warning lights on the dash. Range-topping models had a slick interior that added a luxury feel to the mid-sizer. When the diesel's on song it's a torque-filled treat. If you can find one that's regularly used on long journeys, and you plan to do the same, it's a fair bet. With owners reporting diesel fuel economy not much better than petrols, I'd favour the latter for peace of mind, especially if your CX-5 is for town and school drop-off use. Test the 2.0-litre to see if you can live with its lack of guts but aim for a 2.5-litre for more oomph. Avoid AWD CX-5s used off-road. They're city slickers really and ground clearance isn't great. There are plenty of pampered suburban alternatives to be found. You'll probably find the auto stop-start a lazy thing, so switch it off when you start the car. The few common faults include cabin rattles - and, especially in pre-2015 CX-5s, excessive road noise. The sole recall, in September 2016, was for a tailgate paint problem that could lead to corrosion. A great family car that is deservedly popular. Unless you do serious mileage go for a petrol version - ideally the 2.5 - to avoid potential diesel engine problems. If funds allow, target post-February 2015 facelift CX-5s for better kit, or the early Grand Touring or Akera for cut-price luxury. Ross Trigg: We have a 2014 Maxx Sport 2WD. It was purchased because my wife's chronic back problem, since fixed, necessitated ease of access. Having always owned sedans from Fairlanes to BMWs, never even a station wagon, I was apprehensive about an SUV - but as it proved practical for my wife, I also found it quite useful. It is a very comfortable vehicle, easy and pleasant to drive and the easy access to the large boot has frequently been exploited. We are in our late 70s and enjoy driving with the convenience of Bluetooth and GPS. We've completed many trips, including interstate, often covering 600km-750km a day, and have covered 81,000km in four years. It is easy to see why so many people buy SUVs like the Mazda. The CX-5 topped medium SUV sales for the entire five-year period it was available in Australia, tallying nearly 110,000 overall and peaking with more than 25,000 in 2015. Petrol versions account for nearly two-thirds of used listings and manuals just 5 per cent. Virtually seven out of 10 are all-wheel drive. The most common grade is the Maxx Sport. The base 2012 Maxx 2.0-litre manual front-driver ($27,880 new) is valued at $14,500. The flagship Grand Touring diesel auto AWD ($46,630 new) is $24,200. From 2017, the Maxx ($27,890 new) is still worth $23,650 and the Akera flagship ($50,410 new) is valued at $42,650. The CX-5's popularity as a new car has sustained its resale value, with prices for 2012 surpassing the Toyota RAV4, Subaru Forester, Nissan X-Trail and Kia Sportage. Pre-update 2017 models maintainthis premium, losing ground only to the newer Sportage.